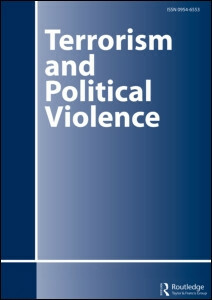 This article examines under what conditions armed Islamist groups intentionally demilitarize and de-legitimize violence, and under what conditions they deprioritize violence temporarily. The central argument is that the decision to de-escalate is driven by the interaction between political context, organizational dynamics and public attitudes. When violence becomes costly and non-violent alternatives are available, groups have incentives to pause armed action, but they do not necessarily feel the pressure to change their ideological tenets or permanently renounce military capabilities. However, when organizational weakness reaches a point of crisis, and when the public explicitly condemns groups, leaders are faced with a sink or swim scenario that forces them to reconsider the role of armed action and the very mission of the group. The ability of leaders to impose any changes in the behavior, ideology or organizational structure depends on the cohesion of the organization. Internal fragmentation can lead to behavioral escalation, but it can also eliminate the most hardline elements from a group, which facilitates organizational transformations from the top. The empirical discussion traces the complete demilitarization and renouncement of violence within the Egyptian Gama’a Islamiyah, and the more hesitant deprioritization of violence within the Indonesian Jama’a Islamiyah. Previous story EU’s Response to Foreign Fighters: New Threat, Old Challenges?